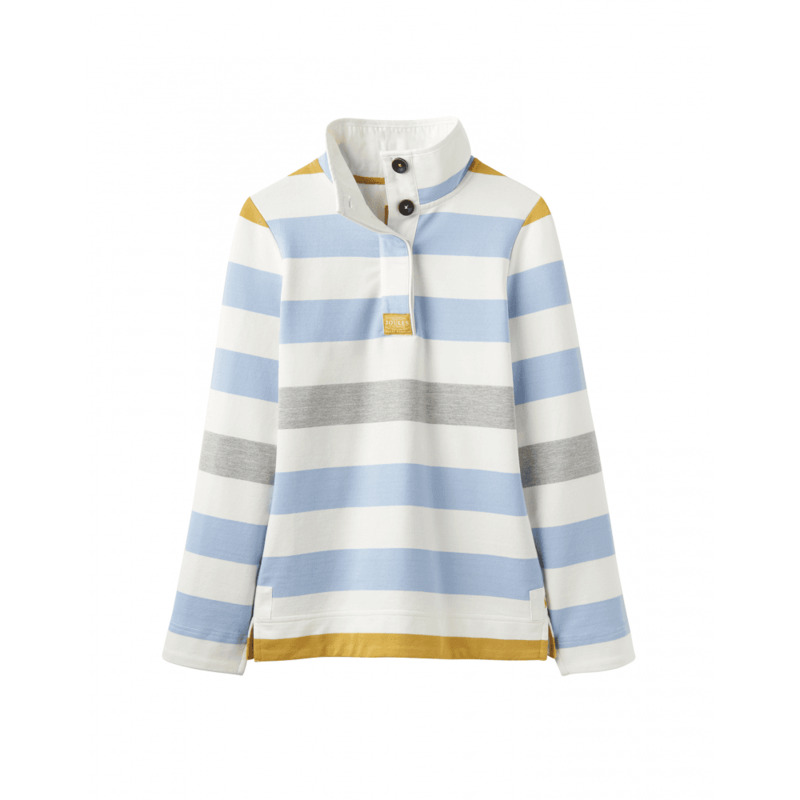 Joules Saunton Womens Quilted Funnel Neck Sweatshirt - Blue Gold Bold Stripe. A ladies saltwash sweatshirt that has been designed with a stand collar and with a button fastening placket. Made from 98% Cotton 2% Elastane and machine washable.